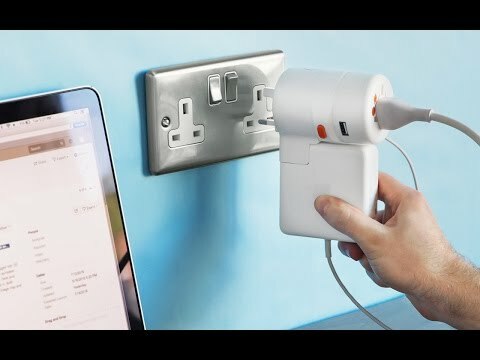 The TWIST Plus World Charging Station charges all your Apple products in one place while serving as a universal travel adapter. 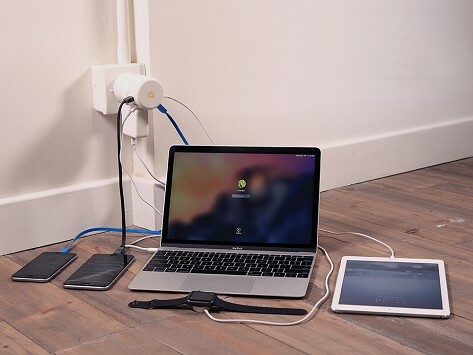 Simple twist to select the local plug and power up to five devices from one of the 4 USB charging ports. Dimensions: 4.6" x 6.7" x 2.4"
My Husband will travel to Scotland this fall for Golf and be able to charge all his essentials at once! Tried it once. Works good, needs more testing. I need to try the device more when I travel internationally. Then can add more of my experience.